[New for 2018] Hello Nosh Show listeners! Ha, just kidding, happy Monday everyone, hopefully a lot of you have the day off and are thinking of heading to the grocery store to fill up the freezer. Our buds over at Gelato Fiasco were nice enough to send over free samples of their six new flavors that they just released. I'm going to cheat a little and show you all the nutty ones first. That's right, four of the six are bringing some nuttiness to your freezer. Let's see what they've got to offer. 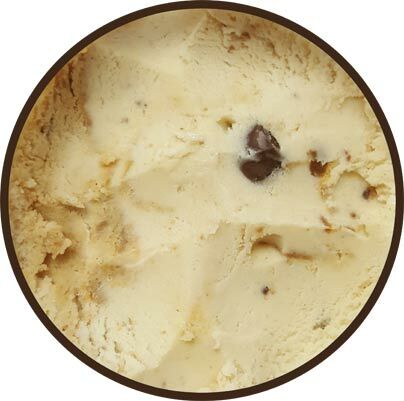 peanut butter cookie dough, fudgy cookie dough, and chocolate chunks"
Ofcourse I have to try DM,DY first. 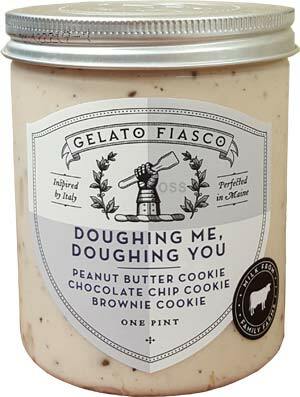 How could I resist three kinds of cookie dough in one pint? Yes it means we might get more of one dough and less of another, but the fun factor should make up for that. I dove right in and proceeded to eat half the pint. I couldn't help myself. I got a nice peanut butter flavoring on my first bite and it stuck with me the whole time. Since I'm not the best with remembering flavor descriptions, I was pleasantly surprised when I found a pair of chocolate truffles inside. I don't think the pb vibe ever left me, even with the brownie bits everywhere. I did find a couple of regular cookie dough bits but I didn't get a big noticeable flavor change from them this time around. I'll be honest, I wasn't really analyzing a ton on this first go around. I was just sitting there being happy as I inhaled my gelato. What you need to know is that it makes a great first impression and I look forward to finishing it off. 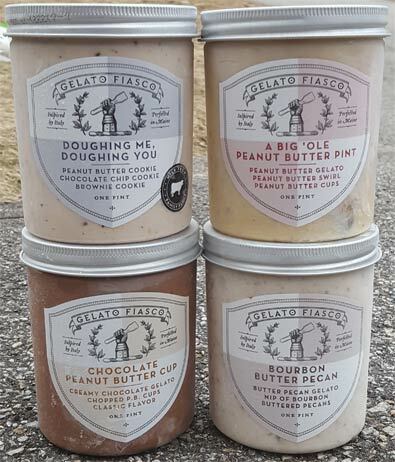 I don't know why, but I've decided to try the bourbon butter pecan one next. Butter Pecan has always been Nick's thing but I love how busy this pint looks. If you want me to desire your food product, make it delicious looking from the very beginning. Yes, technically the mention of any kind of alcohol tends to scare me a bit, but I have faith in GF. Well, that was surprising. I was shocked at how flavorful that first bite came across. I'll be honest, I think it actually startled me a little (in a good way, not a bad way). Now, you are going to think me very crazy, but you know how I translate this flavor in to terms that I can understand? It tastes like that fresh wheat bread that they serve at longhorn. "Dubba, you're crazy!". Yes, but seriously, I taste a fresh wheat bread when I inhale, I mean, eat this pint. Yes, I get that it's really bourbon, and I get that alcohol flavor if I focus on it, but if I just keep scooping, I taste wheat bread. It's not necessarily something you associate with ice cream and I'm sure this one is for everyone, but I do love bread so I just kept going. I think now that it's been a few minutes since I finished that there is that little bit of lingering alcohol aftertaste but that's ok to me since so many alcohol powered flavors are just a heavy onslaught in every bite. I'd much rather have something like this where you get the flavor but not the burn. Trust in GF to make an alcohol flavor that I can actually tolerate. Well done. 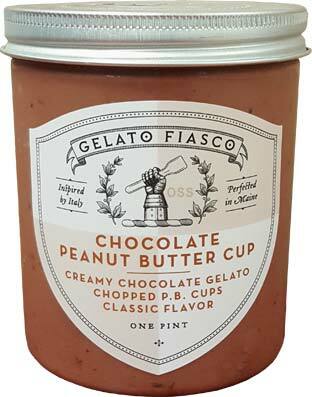 and chopped chocolate peanut butter cups"
Day #3 of free Gelato Fiasco pints and it's time to crack open BOPBP. It's an interesting mix, but to jump right to my conclusion, I think I enjoyed the texture more than the actual flavor profile. See that neat graham looking section on the left? Yeah, that's the fun texture part that I'm talking about. At one point of scooping through it, there was this neat multi layered effect going on that I did not photograph for some reason. On the whole though, there was just something about the base flavoring that wasn't clicking with me on this first try. I think I just need to try it again when I'm really craving a peanut butter fix. "Chopped peanut butter cups and a peanut butter swirl star in this chocolate gelato"
That just leaves CPBC which became a part of my lunch along with a pack of oatmeal (not at the same time mind you). I never really noticed the swirls by themselves, rather I noticed a vary level of peanut butter flavoring in every bite. I can't say I'm a huge fan of the pb they use here, but every brand has their own take on what style the pb should be. That's it for now. Which of these got your attention? And if none of them work for you, stay tuned for their two of their other new flavors: Sunken Treasure and Double Caramel Cookies & Cream. 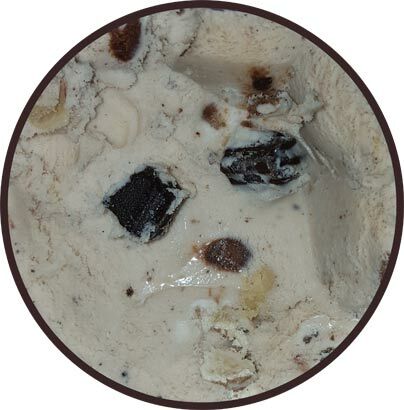 Unfortunately I do not have a sample of Deep Woods Maine which includes chunks of honeycomb candy. On Second Scoop: Second scooping has commenced. I may have inadvertently finished the DMDY during the second serving though I really wish I had stopped soon, stupid urge to not leaving 7-8 in the container. I don't think DMDY is super powerful, but a lot of time I don't want to be bowled over, I just want to go down the middle of the road. (That's not an insult though for some reason it sounds like one). 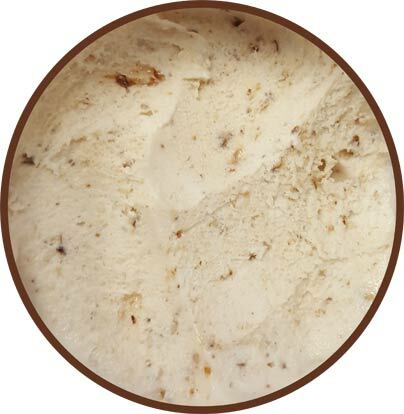 Had fun finishing the Bourbon Butter Pecan too (such a different and entracing flavor to me). Other two were turned in to puddles during a 24 hour power outage. Booooo. As for the other two, I assume you'll be reviewing them, since you didn't mention them here . Finally somebody has released some flavors that sound exciting to me! First I must try the Butter Pecan. As a bread lover I need to know what the heck you’re talking about! Next will be the DM, DY. Cuz what could be wrong with that much cookie dough? The two peanut butter ones won’t be as high on my list, but the peanut butter base will be higher priority than the chocolate base. I love PB in any form, but I have other favorites of those already. Like Haagen Dazs PB Salted Fudge and B&J Peanut Butter World. 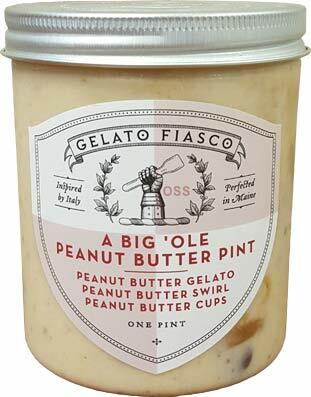 I purchased and reviewed Chocolate Peanut Butter Cup and Big Ole Peanut Butter pint a while ago - loved both of those. I found the cookie dough flavor at Sprouts. It was okay - but in all fairness, I don't love peanut butter, so that dampened the experience for me. The texture also seemed a bit off, but I think that was Sprouts fault. It seemed like it had melted a bit and then been refrozen. 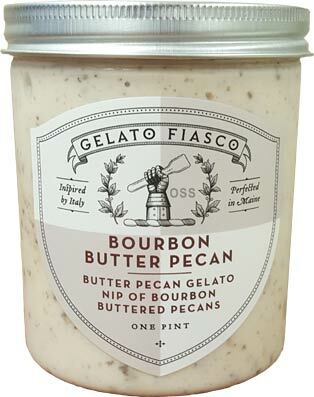 Such a bummer, because Gelato Fiasco usually has a nice texture. I am excited that Sprouts is carrying the brand now. It was hard to find in my area.